Electrical Substation - ! Equipment for Transformer Oil Reclamation. GlobeCore. Electrical energy has several advantages over other forms of energy. First there are no substantial losses in transmitting over large distances. The losses can not be completely absent as conductors have some resistance, and electric current causes heating. Cost-effective transmission of electrical energy over long distances is possible only at high voltage. Physically, there is a simple explanation. At higher voltages the same power can be transmitted, but electrical current would be less. Accordingly, the conductors are less heated. Existing power lines are designed to operate at 110, 220, 380, 500, 750 and 1150 kW. The choice of the voltage depends on the length of the line: the larger it is, the higher the voltage must be. Existing alternating current generators can provide a voltage of several kilovolts. To rebuild such devices to a higher voltages is difficult, that’s why power transformers are used to transmit power over long distances. They are installed in substations and are intended to increase the voltage. Step down substation are: district, main and local. The first ones take electric power directly from the high-voltage power lines, lowers the voltage and transmits it to the main step-down substations (lower voltage up to 6, 10 or 35 kW). Next, electricity is supplied to the local substation, where the voltage is lowered again. In this case, up to 500, 380 or 220 V. After that it can be distributed between industrial and residential buildings. 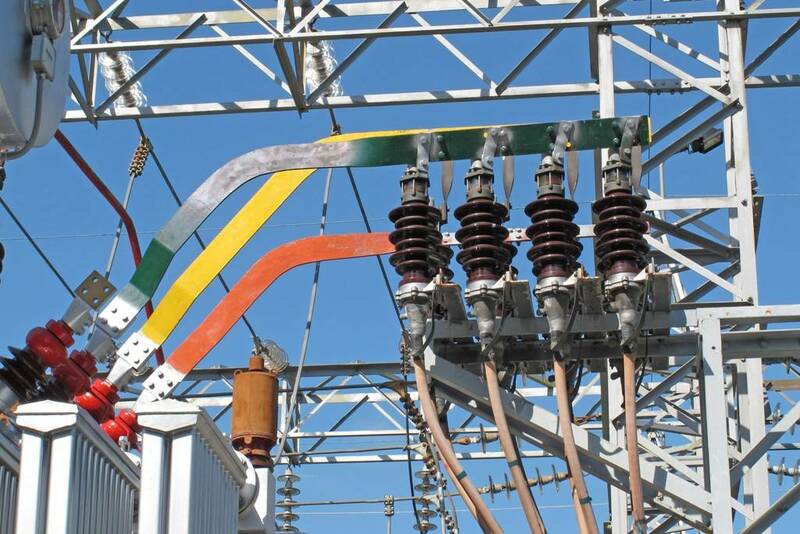 In some cases, near a step down substation there is another substation which converts alternating current to direct. Such measures are necessary to ensure power supply of certain types of electric transport and industrial installations.